The proven laboratory furnishing experts. What we're working on, what we're learning, tools we're using and installation techniques. Hope it helps. Looking to replace an epoxy resin sink manufactured by Epoxyn? Since Epoxyn is no longer in business, that presents a little bit of a challenge. 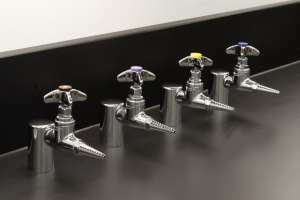 This post explains some of the issues related to replacing Epoxyn sinks with ones manufactured by Durcon. 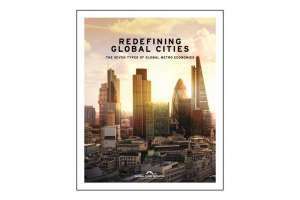 The Brookings Institute published an interesting report yesterday on global cities. The interactive maps on their site make it easy to see how competitive your area is regarding economic growth, innovation, and talent. 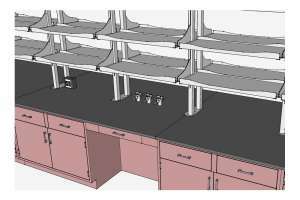 Last week, we added three additional sinks to our line of epoxy resin drop-in lab sinks. 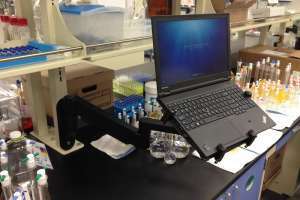 We recently installed a laptop arm manufactured by Innovative Office Products and were impressed with the quality and ease of installation. 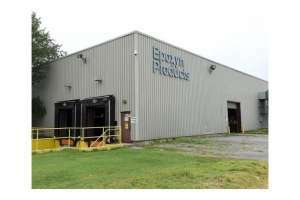 You may want to check out their complete offering of ergonomic products. 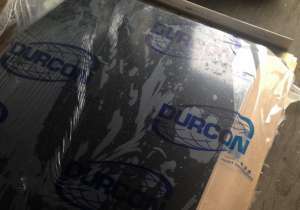 Durcon is now shipping their epoxy resin countertops with a snazzy protective film. 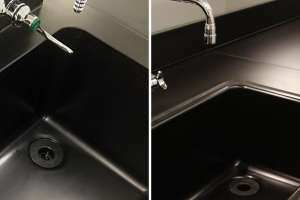 Wondering which type of epoxy resin sink to use: undermount or drop-in? In this post, we take at look at the pros and cons of both. SketchUp, a 3D modeling app, helps us show our customers their lab – before it becomes their lab. Here's a nice video about WaterSaver Faucet Company. 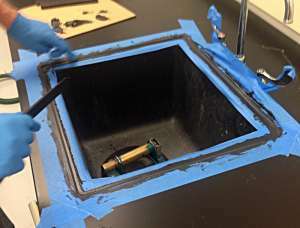 Here are some details about how we set epoxy resin drop-in sinks. 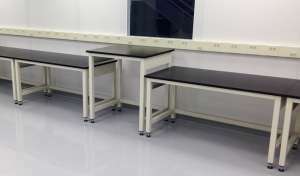 Looking for a heavy-duty lab table? Check out these Titan tables. Several sizes and options are available to choose from so you can get the exact table you want. 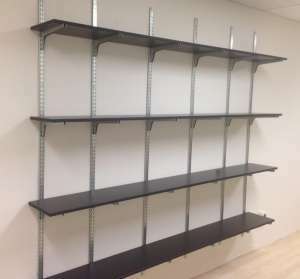 Last week we installed our favorite type of laboratory wall shelving – K & V standards and brackets and phenolic resin shelves – on a project. The system installs quickly, is easy to adjust and has great chemical-resistance and load capacity. 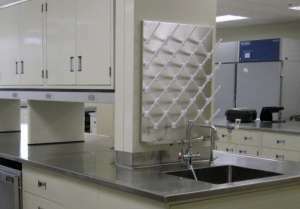 You may have been wondering, what are the advantages of a stainless steel pegboard?